SLIDESHOW: Between 1992 and 2004, O'Meara Contracting completed over $80 million in contracts for Erickson Construction. The projects include: Oak Crest Village in Carney, MD ($21M); Greenspring Village in Springfield, VA ($25M); and, Riderwood Village in Beltsville, MD ($26M). Also included are current 2018 projects. Throughout our history we have sought to organize our contracting efforts in the most effective form. Keeping a close eye on the ever-changing needs of business and industry we have maintained flexibility and diversity among our chief assets. In 1976, a separate Masonry division was created and under the direction of Michael E. O'Meara it has become one of the most sought after sub-contracting firms in the area. Specializing primarily in industrial and commercial work, our capabilities in this area include brick veneer, block, solid masonry load bearing buildings and brick paving, all of which allows us to determine the professional execution that has become our trademark. 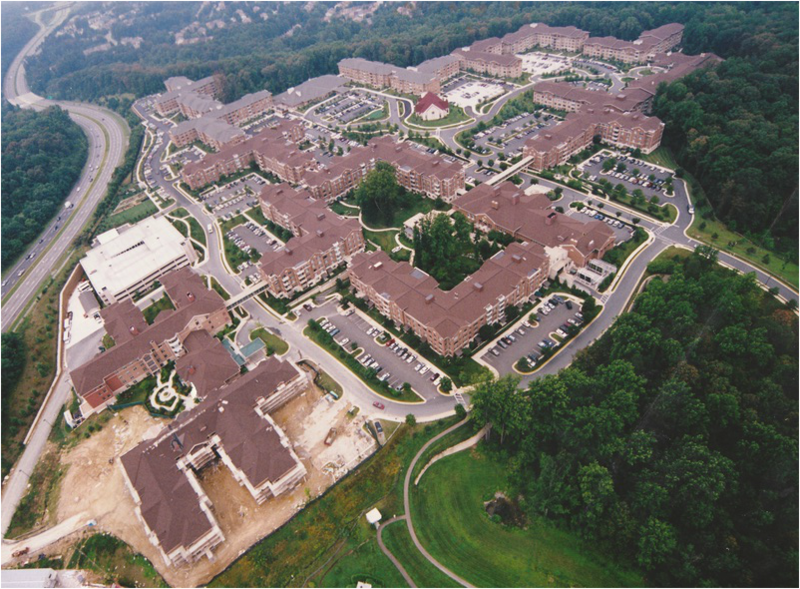 ​BELOW: Greenspring Village in Springfield, VA. One of three project completed simultaneously between 1992 and 2004; each individual contract in excess of $20 million.